Born and raised in rural northwestern Ohio, Stanley Miller graduated from Johnson & Wales University in Charleston, South Carolina, and most recently worked at the Ritz-Carlton Orlando, Grand Lakes, as well as the New York Marriott Marquis and Hotel Victor in Miami. 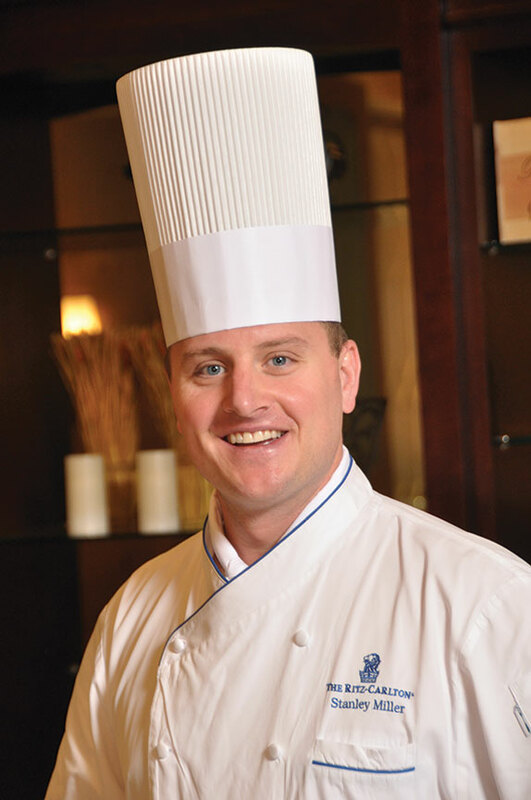 Miller has served as Ritz-Carlton, Lake Tahoe’s executive chef since July 2013, overseeing all hotel culinary activities including the signature restaurant, Manzanita. My earliest culinary memory was helping to start and working in my uncle’s meat market at the age of 13. I moved to Lake Tahoe for the career growth opportunity; this was also my first opportunity to live on the West Coast in God’s Country. Yes, I am recently married and have one pet, a 12-pound tan Pekinese named Yoshi who is eight. My style features a classic culinary technique with modern and regional seasonal influences. Local purveyors you especially like? We use many. A few favorites include: Greg’s Organics for his tomatoes during the summer season, Del Rio Farms in Sacramento for seasonal produce, Mt. Lassen Trout and the Sausage Factory in Carson City, Nevada. Anything barbecue related, especially smoking and grilling. What do you like best about being a chef in a high-end hotel environment? The luxury guests’ high expectations and extensive knowledge of food quality, product and trends along with their willingness to experience it is what I enjoy the most. The guests’ interest in having a unique dining experience keeps me challenged and creative. 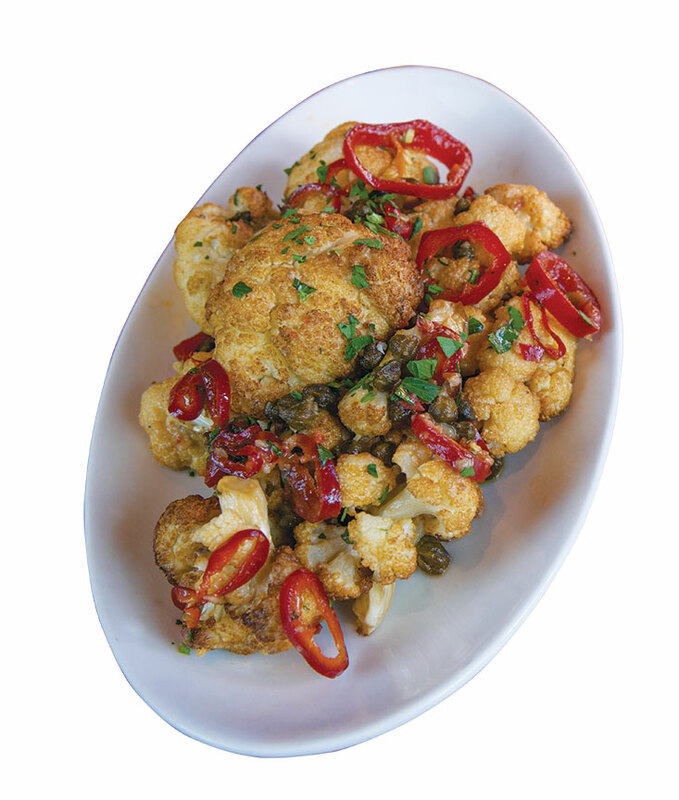 What are some of the food and beverage changes you have made at the Ritz Carlton, Lake Tahoe? The first thing I did when I arrived at the resort was launch an in-house bread program for Manzanita and Café Blue, two restaurants I re-concepted. We developed and launched the Backyard Bar & BBQ, introduced a Tahoe Long Table dinner series and created a Chef’s Tasting Counter experience in Manzanita, as well as a new Brew Master and Spirits dining series. I have also collaborated with other local and regional chefs, inviting them into the kitchen and resort, in creating “pop-up restaurant concepts” such as dinners we hosted with chefs Dean Fearing, Susur Lee and Mark Estee. Venison that I hunted and fabricated, Haitian pork griot (roasted pork shoulder) with pikliz, which is a pickled cabbage and habañero salad. Plus, fresh fruit and vegetables for morning smoothies and juices. West Ridge to Drifter on Northstar California because it’s a nice, long, scenic run. What do you like to do when not cooking? During the summer I like to golf, in the fall I enjoy hunting and during the winter season my favorite day includes skiing on the mountain followed by a trip to the sauna at the spa. Directions: Dust cauliflower in mixture of the flour and cornstarch, and fry at 350 degrees until golden brown. When done frying, drain until all oil runs off, and toss in a bowl with batuta oil (a simple Italian seasoning oil used to brighten meat and vegetables) and a pinch of salt. Sprinkle with parsley, fried capers and lemon juice. Finish with pickled Fresno chili. Directions: Roast garlic in oil until golden brown. Let cool, chop and add back to oil. Add chopped anchovies to roasted garlic. Add in herbs and a squeeze of lemon juice. Directions: Combine all ingredients except chili pepper and bring to a boil, then reduce to a simmer for 20 minutes. Strain and cool, pour over sliced pepper.